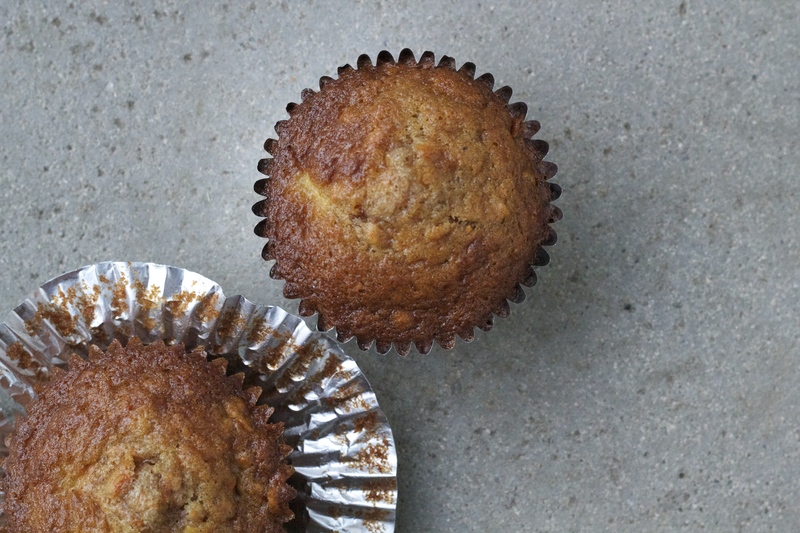 As muffins go, these are on the smaller, nice-and-moist-but-healthy-ish side of things. Not too much sugar. There’s Greek yogurt in there. And they’re packed with vitamin A! From the carrots, fresh mango, and dried apricots. They’re a good transition between chocolate for breakfast and straight up green juice. They’re easy to make, a simple two-bowl affair, and no electric mixer needed. And best of all, at least for me? Eating one means I’m not living out of a suitcase, not butchering the french language or waiting in security lines or schlepping bags or eating airport Mexican food (not advised)… it means I’m finally HOME. These are wonderfully flavorful little breakfast treats. If you want to make them even healthier, swap out one cup of flour with whole wheat. Preheat the oven to 350°F, with two racks spaced evenly apart. Grease 18-20 muffin cups (or line with paper liners). In a medium bowl, whisk together the flour, baking soda, cinnamon, salt and sugar. Add the carrots, and mix to coat. Next add the apricots and mango, and toss to coat again. Set aside. In a large bowl, whisk together the eggs, oil, yogurt, honey and vanilla until smooth. Add the floury carrot mixture to the egg mixture, and stir to combine – a thick batter will come together. 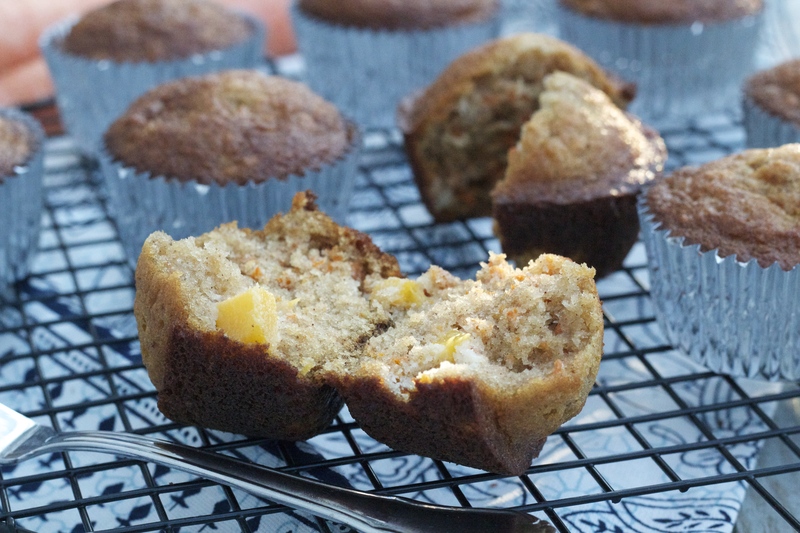 Scoop the batter into the prepared muffin tins (fill them 3/4 full), and bake the muffins until golden and puffed, and a skewer inserted into the biggest one comes out clean – about 15 to 20 minutes. 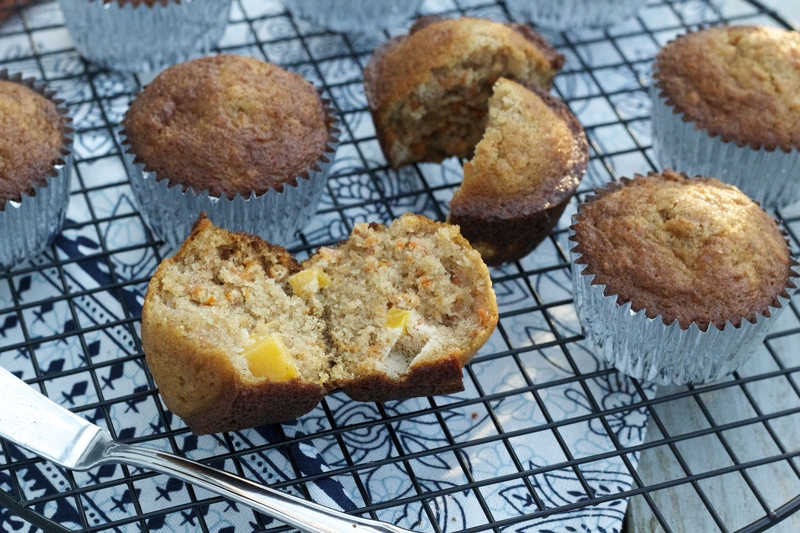 Allow the muffins to cool slightly before turning them out and cooling them completely on a wire rack. Makes 18-20 normal-sized muffins. Muffins will keep, well-wrapped at room temperature, for about 5 days. Previous Post: « July 4th! 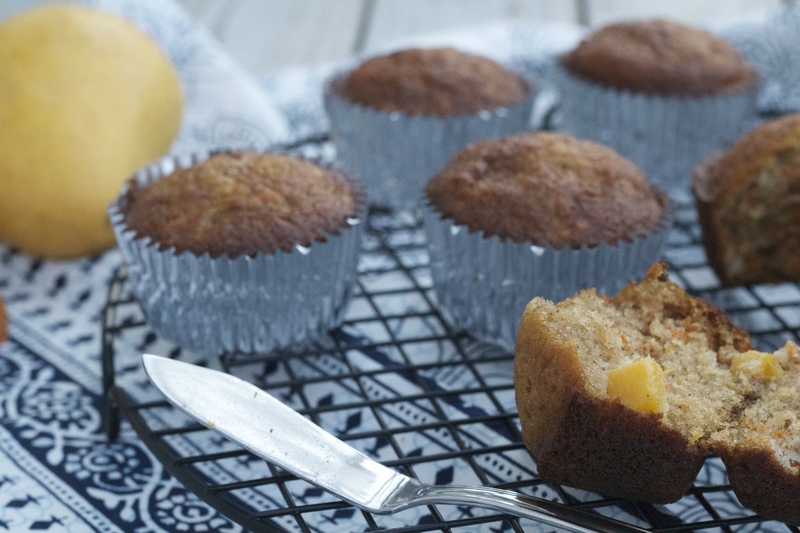 mmm, carrot, mango and apricot sound so good together! esp because there’s some very old carrots and a wrinkly mango currently hanging out in my fridge. I constantly crave a muffin in the morning and am always looking for something new to replace my go-to blueberry! Great combo!